Aeroquip Fitting, Bushing Reducer, Male 1/4 in. NPT to Female 1/8 in. NPT. Bushing Reducer, Male 1/4 in. NPT to Female 1/8 in. NPT. Aeroquip Fitting, Bushing Reducer, Male 3/8 in. NPT to Female 1/4 in. NPT. 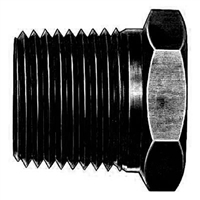 Bushing Reducer, Male 3/8 in. NPT to Female 1/4 in. NPT. Bushing Reducer, Male 1/2 in. NPT to Female 3/8 in. NPT. Aeroquip Fitting, Bushing Reducer, Male 3/8 in. NPT to Female 1/8 in. NPT. Bushing Reducer, Male 3/8 in. NPT to Female 1/8 in. NPT. Aeroquip Fitting, Bushing Reducer, Male 1/2 in. NPT to Female 1/4 in. NPT. Bushing Reducer, Male 1/2 in. NPT to Female 1/4 in. NPT. Aeroquip Fitting, Bushing Reducer, Male 1/2 in. NPT to Female 3/8 in. NPT. Aeroquip Fitting, Bushing Reducer, Male 1/2 in. NPT to Female 1/8 in. NPT. Bushing Reducer, Male 1/2 in. NPT to Female 1/8 in. NPT. 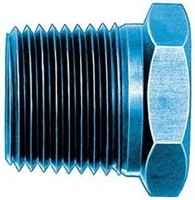 Bushing Reducer, Male 3/4 in. NPT to Female 1/2 in. NPT. Aeroquip Fitting, Bushing Reducer, Male 3/4 in. NPT to Female 1/2 in. NPT. Aeroquip Fitting, Bushing Reducer, Male 3/4 in. NPT to Female 3/8 in. NPT. Aeroquip Fitting, Bushing Reducer, Male 3/4 in. NPT to Female 1/4 in. NPT. Aeroquip Fitting, Bushing Reducer, Male 1 in. NPT to Female 3/4 in. NPT. Aeroquip Fitting, Bushing Reducer, Male 1 in. NPT to Female 1/2 in. NPT.